Holidays are one of the most anticipated times of the year as they provide much needed rest and relaxation. 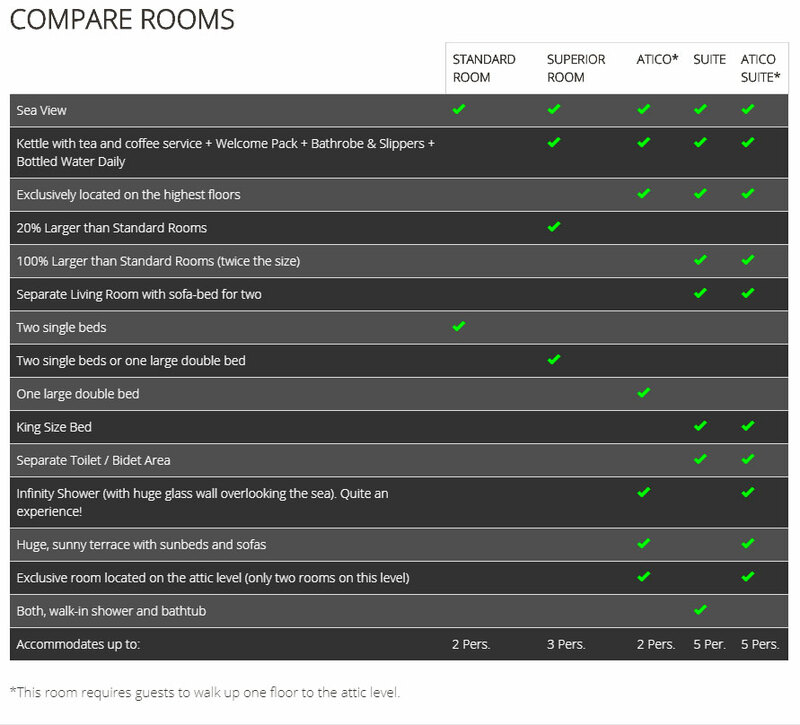 Because of this, we know how important it is to choose the perfect destination to suit your needs. Adults-only hotels with swimming pool allow you to disconnect from the outside world in the perfect climate. Find out more below! At the Hotel Don Pancho we have fantastic facilities which will allow you to prioritize your well-being. Amongst these is the climatized pool where bathing is a real pleasure. Keep reading to discover more! Are you someone who relaxes by playing sport? Do so in the pool! In this post we will detail everything you can do in our hotel with a swimming pool during your stay. What are you waiting for? Lie down in one of our hammocks located around the pool, enjoy the towel service, sunbathe while you relax and, above all, don’t forget the sun cream! All our services will make your visit to the pool a very pleasant experience as you won’t have to worry about anything. 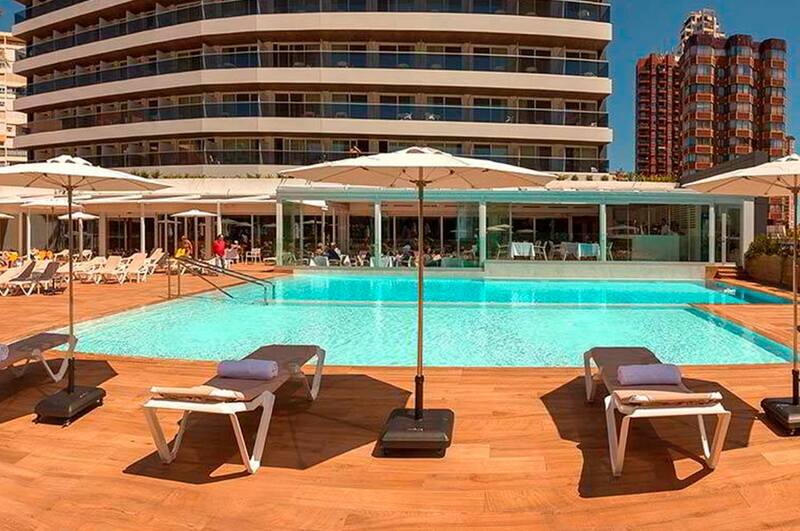 With the wonderful climate of Benidorm and our hotel with swimming pool you will get the perfect tan, when you return you will be the envy of summer! Disconnect from real-life routines in the Benidorm sun and get some vitamin D to keep your body healthy. You will feel rejuvenated! At the Don Pancho we have thought of everything. Want to cool off with a drink whilst sunbathing? How? At our Chill Out terrace you can taste delicious cocktails. Choose the one you like best but remember, holidays are a good time to try something new! Don’t be afraid to push the boat out and try something more exotic. 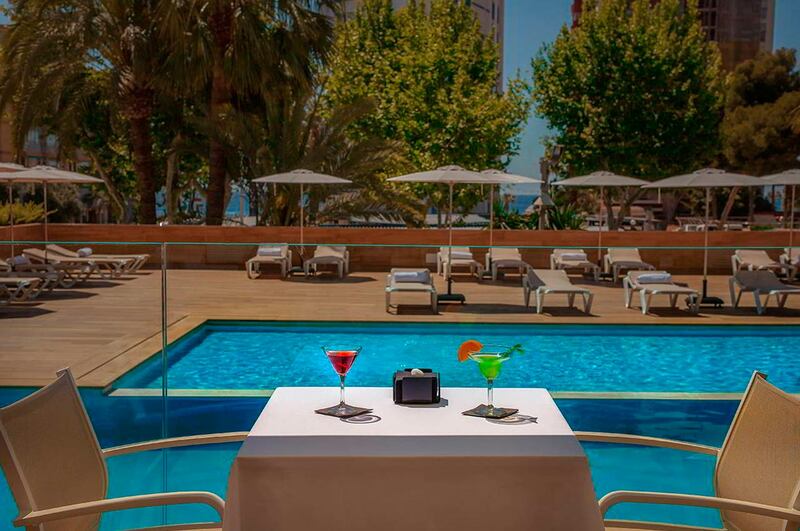 At the Chill Out terrace, not only will you be able to enjoy fabulous cocktails, but you can also savour one of our appetizers, light meals or simply enjoy the electric atmosphere just a stone’s throw from the climatized pool. 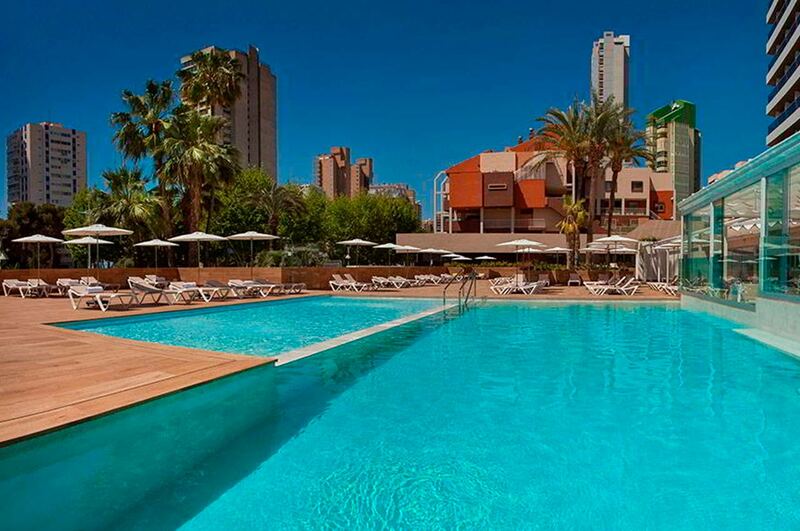 The best music, the Benidorm sunshine and the best services combine to help you relax. At our Chill Out terrace you will find a mini paradise, come and enjoy it! Combining a visit to the solarium with a relaxing dip in the pool is a recipe for relaxation! If you want to relax and have a drink whilst enjoying the sun you can sit at the edge of the pool and let the water bathe your legs. However, if you don’t want to spend all your time in the sun, we have the answer! Get the tan you want using the parasols and hammocks scattered along the terrace. The pool has different depths, so you can choose where to relax. You can have a comfortable and lively conversation with your travel companion, or you can simply float in the water. Or, if you prefer, you can relax and sunbathe on the sunbeds by the pool. 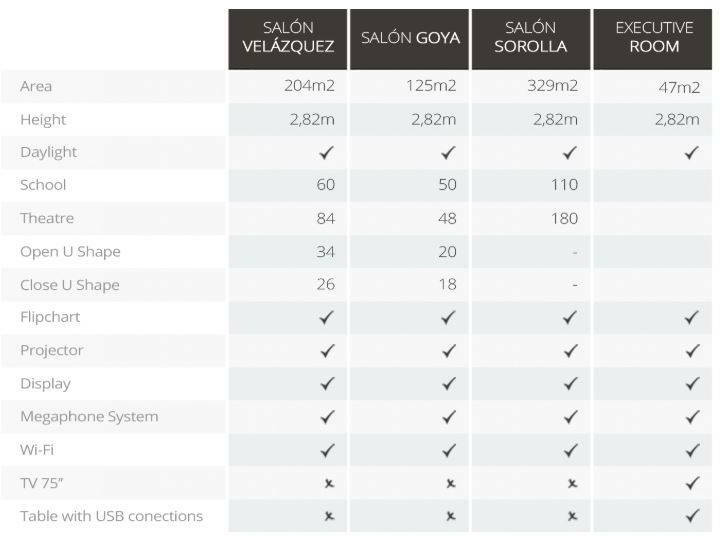 Your relaxation, your choice! Sport helps us to relax but doing moderate exercise in the pool brings a lot of benefits and helps with your general well-being. Want to know more? The main benefit of moderate aquatic exercise is that it improves your circulation and breathing, since your body is constantly moving in the water. Exercising in the pool will improve your lung function. It also helps to improve posture and your core. You will have a more stable walking posture, and this will help eliminate back pain! Discover the incredible feeling of well-being when you finish doing the exercises, you will not regret it! Below, we detail two healthy exercises, so you can get these benefits in hotels with swimming pools. The first exercise we will outline is running slowly in the water. Lift your knees and move your arms just like if you were running. You can increase the intensity by accelerating the pace or jumping on each step. Remember that your goal is to achieve a state of well-being, so don’t over-do it. The second exercise is a type of jump. It combines two jumps forwards with two jumps backwards. The trick is to use your arms to move yourself further. Totally renovated facilities, perfect climate, no annoying noise, the wonderful surroundings of Benidorm; what more could you ask for? At the Hotel Don Pancho we want your stay to be 100% perfect. Now that you know more about what you can do in our climatized pool, what are you waiting for?